Houses along the river in the village of Malaya. Low tide at the beach on a cloudy day. Today, we need to get "back to work." Enough of this lazy lifestyle we've had this past month in Bali. With all of our record keeping and expenses logged and up to date including the cost of last night's dinner, its now time to look toward the future. With the necessity of getting three visas while in Singapore for Vietnam, Thailand and Bali's second visit in September, we have some paperwork to prepare before we arrive. After all, our one week in Singapore begins in 27 days. We'd better get moving. A small shop next door to the ATM we use in the nearest village. Each of these country's visa applications require proof of airline or cruise tickets showing our departure dates. These countries want to ensure we high tail out as planned. No lingering illegals allowed. Luckily, there's an old printer here (soon running out of ink) that I've been able to use with my laptop. I can't recall the last time we needed to print something other than the documents for last week's visa extension, now completed. Watermelon growing in a field, covered to protect it from the heat of the sun. Travelers often perceive they need paper copies of tickets, boarding passes and cruise documents. We no longer keep any of these in our possession, instead keeping copies on my phone of online documents we've either scanned or photographed. Ensuring the photos include clear and easy-to-read reservation numbers, we've never had a problem with this. On a few isolated occasions we've been asked for paper copies to which we shrug explaining we haven't had access to a printer which in most cases, we haven't. This is only the second vacation property where we've had access to a printer. Muddy river we crossed in Malaya. Isn't printing becoming somewhat obsolete these days? Isn't it mostly lawyers who continue to shuffle around hundreds of pages of documents in front of their clients? Oh, yes, and government agencies throughout the world always require paper as we've experienced thus far, many still using obsolete operating systems. This is the reason we'll need to bring printed papers with us to Singapore when we visit three embassies during our short stay. For each location for which we require a visa, we have an email with a list of the required documents. Ugh, this reminds me of my old working life, always bogged down with paperwork. We'll be happy when we're done. As old as much of the architecture is in Bali, it maintains a style befitting its rich Hindu history. Also, we need to begin looking for an RV to rent for next summer's (2017) visit to the US. We're hoping to pin down a suitable vehicle in Seattle, driving it across the northern part of the US to Minnesota. Having an RV prevents us from imposing on family members during the extended visit to Minnesota. Our kid's bedrooms are full in their homes and with all of our luggage it would be a huge inconvenience to stay with others for six weeks. Tiny bananas for sale at a local farmers market. Nor would we want to impose upon any of Tom's siblings or our friends who may have available space. Six weeks is a long time. My way of eating, in itself, would be a gross inconvenience for which we'd never expect anyone to prepare. Nor would I want to be shopping and cooking meals trying to figure out how to cook for everyone since as a house guest, I wouldn't feel right cooking only for ourselves. (I'm an awful house guest, feeling as if I need to "earn my keep" by cooking and cleaning. As a result, its more work for me to be a house guest than one can imagine, all by my own design, of course). We spotted these sardines in the early morning for sale at the local farmers market that most likely had been caught that morning. They weren't on ice and could spoil quickly in the heat. We'll be eating lots of gluten free cooked chickens from Costco, preparing basic meals in the RV and dining out a few times a week. 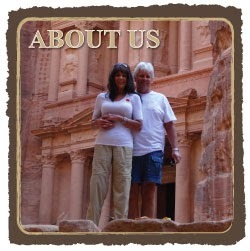 We'd considered a vacation home or hotel in the metro area but prices were beyond the cost of an RV. With a small RV we'll be mobile, can see everyone, go camping with the family and park wherever we can find a suitable spot. We plan to keep the RV during the six weeks in Minnesota, dropping it off before flying to Nevada for the last two weeks of our US visit before heading to Costa Rica and then...back to our world journey. Minnows for sale at the farmers market. Yesterday afternoon and last night it rained for hours. Surprisingly, the flies aren't as prevalent today as they've been after other periods of rain. I'm trying not to use the repellent as often as during this past month which doesn't seem to keep the flies off of me anyway. We're feeling well, feeling grateful and ready to get to work. We hope you're feeling well and grateful, too! This is the interior of a lifeboat which tendered us to the pier in Moorea, one year ago today. For more photos and details, please click here. Part 2...A wild and fascinating cultural experience...All new photos....Do YOU have a story to tell? We've often seen balloon guys hauling these big batches on their motorbikes. These boys were fishing for several hours in the heat of the sun. Buffaloes were lining up for their turn at the races. Yesterday, was our 1400th post since the date of our first story in March 2012. At the onset, we posted few photos and posted a few times a week, having no idea how many readers we'd acquire other than friends and family over these years. A young "jockey" in position for the upcoming race. Much to our surprise, as our readership grew. Readers came from all over the world and began sharing our posts with their friends, relatives and neighbors. In the stats in Blogger which we can review at any time, we've watched the list of countries from entries into our site grow and change over the years. Flower petals and burning incense are lined along the road providing prayers and good fortune for the race. The smell of the incense burning was pleasant among all the other smells. In March 2013, one year after we started our first post (on March 15, 2012), we began posting daily as opposed to a few times each week. This feature manifested from the discovery that often our experiences couldn't be told on a Saturday to be continued two or three days later and maintain its flow and significance. Many of the elaborate costumes are handmade. For many of our readers it was comparable to reading chapters in a book...one doesn't want to have to put it down and wait three days to read again. As an avid reader, I've become impatient waiting a day for the next part of a story, although each night I do so when sleepiness befalls me and I turn off my phone. Any of our lives are a continuing story. Although, our story may not seem interesting enough for any of us to share, we may surprise ourselves how we can find a way to extrapolate tidbits of our daily existence worthy of note by others. Off they go down the narrow race course, lined with spectators on both sides. Our thoughts, our dreams and our hopes all encompass a story to be told that is easily illustrated in Facebook whether its a new bloom in your garden, a smile on your grandchild's face or a lopsided cake you've baked in your kitchen, it all holds a certain appeal most of us find interesting enough to give it a "like." The buffaloes stayed relatively calm until it the race began. When looking through the timeline of any FB participant in our list of "friends" we can easily formulate a story of their lives as they've progressed over the years with events big and small, powerful and insignificant. At times, our stories are profound and at other times, outrageously humorous. This is the queue where race participants awaited their turn. We all have a story to tell. Years ago, Tom's mother, Mary Lyman, narrated a book about her life and her family which was penned by an author who'd done this for many others with a desire to document their life story and family history in the written word to be bound into a book upon completion. The buffalo's horns were covered in this "socks" adding to the wide array of decorations. Once completed, every family member was given a copy, a gift from Mary. Although blind, her memory was keen and her head was filled with stories that held significance to each family member in one way or another. What a gift to bestow upon one's family! Mary lived until 98, only four months from her 99th birthday. Somehow we made our way through the crowds to find a decent viewing spot. The content in Mary's book wasn't for the mass audience but the treasures of the stories she told will remain in the hearts and minds of her family for generations to come. The air was thick with cigarette smoke. It appears many Balinese men smoke although we've seen few women doing so. Perhaps, there's a story inside of you to share. Its relatively quick and painless to start a blog. If the concept is intimidating, perhaps a savvy grandchild or friend can set it up for you. You need not worry about spelling, punctuation or grammar. The flow of your words will be what matters to those who love you and those who will be blessed to read your words in years to come. Pretty little flowers blooming along the entrance road. And for us, these average everyday people who we are, we remain in awe of our readership that continues to grow each and every year. We thank all of you for "traveling along with us" as we tell our stories...however trivial or meaningful they may be, however repetitive or fresh they may appear, knowing we're never alone with each of you at our side. Tell your story! We'd love to read it! Vacation/holiday huts set into the side of the mountain on the island of Moorea, photo taken while on a dolphin tour. We saw many dolphins but the sea was too rough for any good photos. For more, please see here. A wild and fascinating cultural experience in Bali...Buffalo races! Video and photos! This morning we spotted this large fishing boat close to the beach. It was surprising to see how many people were onboard. Moments later they were hauling this little blue boat onboard. After our first steps out of the car, we could tell the path ahead would be congested. Yes, there are many animal cruelty activists that are adamantly opposed to buffalo racing and we understand their intentions. But, we're not here to judge a centuries old tradition. As all of our readers well know, we love animals and are also vehemently opposed to animal cruelty. But, we aren't here to espouse our personal beliefs over worldwide racing of a variety of animals nor are we taking a stance on such a position in this post. We arrived well before the start of the race with many of the buffaloes still in the trucks. We're here to describe this unusual experience we'd yet to see in our world travels as a way of life for many Balinese and others throughout of the world. Their passion, enthusiasm and dedication to the sport is not unlike the dedication one finds for football and soccer worldwide where humans are the target of considerably rough encounters centered around much hoopla and wild celebration. Buffaloes aren't intended as "runners." Their bulky physiques and ungainly gate make them poor candidates for such a sport. But, boy or boy...can they run and it didn't appear it take much encouragement to get them on the move. The buffaloes were being dressed in their elaborate costumes. Yesterday morning at 7 am, Butu, our alternate driver for the villas, picked us up for the 20 minute drive through unbelievable traffic early on a Sunday morning. It wasn't as if everyone was heading to church and brunch in Bali. Most of the population adheres to Hinduism, with approximately 14% Muslim, 3.5% Christian and .5% Buddhism who don't necessarily worship on Sundays. It appeared that the bulk of the traffic resulted from trucks hauling buffaloes to the races and other trucks hauling various goods to the island. Many hands were involved in prepping the buffalo. Weaving in and out of traffic while constantly passing other vehicles on the narrow two lane roads is a harrowing event in itself, not intended for the squeamish. If such traffic scenarios are an issue for you, Bali wouldn't be a good vacation/holiday spot for you, unless you parked yourself at a resort for a few weeks to enjoy the balmy weather and beautiful beaches. In reality, driving in Bali is not unlike the buffalo races...one wild ride, for sure! It was equally interesting watching the prep required as the buffaloes were "dressed" for the event. Once we arrived at the race track, we discovered a somewhat unusual aspect to racing on this particular course in Malaya. Wherever we stood near the track, there wasn't a good vantage point in which to see the race other than for the first 100 yards. Once the buffaloes were on their way, the vegetation and distant areas of the track only allowed us to see the bobbing flags on the carts at a distance. From what Butu explained as best as he could with our language differences, the race of each buffalo cart is timed, determining the winner(s) who'd go on to the bigger races for the finals in several months. It was the look on the mouth of the buffalo on the right that inspired me to get a close up of his teeth. Please see the photo below for details. "Makepung is the name of a major grand prix in Jembrana, West Bali, which features racing buffalo races. Hundreds of pairs of buffaloes are teamed up together with their jockeys riding the traditional wooden ploughs that are slightly modified for the competition. The racer buffaloes, called kerbau pepadu, compete in various open race circuits in assorted heats around the district of Melaya, leading up to the finals, or what has come to be known as the Jembrana Regent’s Cup, and the Governor’s Cup, held annually. Makepung is derived from the base word of kepung, meaning ‘chase’, similar to the expression ‘steeplechase’. Makepung is one of the unique traditions stemmed from the agrarian life scene of the island, and is a widely enjoyed event in the regency of Jembrana, west Bali. The grand-scale events inspired from such a simple, traditional pastime preserves the unique traditions of this part of the island, as well as to promote tourism to this far flung western location. The competitions also provide positive impact on other local sectors such as agriculture and farming. The tradition has partly prevented the shift of land for farming use, and it has also encouraged the people to improve the quality of animal husbandry, raising winning buffaloes for the yearly events." Once we entered the grounds for the race we walked along a narrow path weaving in and out of the rows of buffaloes. I could tell Tom was a bit concerned we'd be kicked or stepped on by the huge beasts but I was so busy taking photos I never gave it a thought. This is how close we were to the buffaloes when we were able to get this close up of his teeth. Even munching on all that vegetation causes tarter of the teeth. Being up close and personal was "right up my alley" and I couldn't have been more thrilled to look in the eyes of these amazing animals, admiring their individual expressions and elaborate decorations that the Balinese people design with considerable care and attention to detail. At no point did we see any of the buffaloes handled with any rough treatment other than the first moments "out of the gate" when their tough hides were swatted to get the show on the road. Often, while they waited their turns, we noticed the owners and handlers petting them in a revered and appreciative manner. Many of the costumes worn by the buffaloes were elaborate. Now, we get it...the buffalo on the beach every day being walked to the river for a cooling soak. For all we know, they too participate in the races. Apparently, the buffalo races have contributed to tourism in this more remote part of the island, four hours from the capital city of Denpasar. We had to walk quite a way to get to a spot on the sidelines in order to see the beginning of each racing cart, most often starting two at a time. The walk was somewhat tedious over rough, slippery terrain with room for only one person at a time. Gingerly, we made our way to a good place to stand on the sidelines only a few feet (meters) from the track with no fence or guardrail to protect the spectators in the event of a mishap. We ended up walking down this uneven grassy area on the right finally staying put close to the official's tower on the left. We positioned ourselves a reasonable distance from the starting line when we noticed the helter-skelter nature as the buffaloes and carts took off. An official yelled something in Balinese in a loud and intimidating voice that immediately triggered the buffaloes into action. You can hear this on our above video. After quite a while and with all the photos we wanted, we decided to head out before the end of the race since we couldn't tell who was winning anyway. With the lines of vehicles, participants, spectators, buffaloes and carts it was evident it could have taken two to three hours to get back out to the highway. The buffaloes were adorned and ready for the races to begin. In a perfect world animals (including humans) wouldn't be subject to these types of sporting events and customs. We'd hoped to make a stop at grocery store on the way back to the villa but Butu misunderstood taking us to a farmers market with mostly fruit, some veg, clothing and trinkets, none of which we needed to purchase. The two Kataks purchase all of vegetables, eggs, chicken and fish each morning for the day's meal. Next time we go out with Gede we'll make the stop. At the moment, we're outdoors on the chaise lounges on a dark and somewhat dreary day. We can't see across the ocean to Java, the Indonesian mainland, as on most sunny days. We've already had our coffee and are showered and in our swimsuits as always. The buffaloes are being led to the starting gate. More photos will follow tomorrow. Regardless of the weather, we'll stay outdoors all day and swim in the pool even if it rains. The cabana provides good cover from the rain and will have slightly less flies than inside the house. There's no way we can describe how bad the flies are especially after it rains, especially during dinner. But, like everything else, we'll manage just fine, flies and all. One month from today, we'll already be in Singapore. Its hard to believe we've been in Bali over a month. How the time flies when you're having fun! May your weekend be enjoyable and meaningful! Rough seas aboard ship one year ago had resulted in the closing of the swimming pool. Walking about the ship had been tricky for 24 hours as the rough seas increased. Luckily, neither of us suffers from seasickness. For more photos and details, please click here. Butu, our driver and guide is in the left of this photo, looking out to the ocean across the road. Yesterday, Gede stopped by with our passports. Our visa extensions have been accomplished with appropriate stamps inside each of our two passports. Of course, we're relieved this is accomplished and thank Gede for making Trip 3 on our behalf. We'd written a letter on my laptop authorizing Gede to pick up our passports, printing it on the villa's printer. The immigration officer had explained this letter would be acceptable for Trip 3 only. The hard part has been the concept of going through this same scenario all over again when we return to Bali in September. With this in mind, I contacted the Indonesian Embassy in Singapore by email asking if we could apply for the 60 day visa while we're there in a month. They sent back a long list of requirements but...it looks like we can get this done while we're there between June 28th and July 5th. In addition, while in Singapore, we'll apply for the visas for Vietnam and for Thailand, each of which are required in advance. We'll be in Singapore for only one week with five business days necessary to accomplish all three of these visas. It appears the nature of our week in Singapore has now been determined although we'll make every effort to go sightseeing and enjoy the city as much as possible. Surely, we'll have some time in between waiting in line and applying for visas. This funny looking creature was scurrying across the sand. This morning at 7 am, we took "off for the races," not expecting to return until long after our usual posting time. As a result, I prepared this final Pulaki Temple post, hoping we don't bore our readers with this three day story. Sign posted at the entrance to the temple. If you'd like to read it, please zoom in. If we've bored you with this lengthy representation, please check back tomorrow. Our morning outing will surely be of interest to many of our worldwide readers as we embark on an unusual experience so early in the day. There are few activities that inspire us to be out the door so early in the day, although we are both early risers. You know. We each have our little morning routine that brings us a certain sense of familiarity and contentment. Deviating from that routine can be unsettling. Monkey hanging onto a pole watching the action below. Oh sure, we attempt to be flexible and varied in our activities as we travel the world. But, without having a home to call our own, we find ourselves especially appreciating some of the routines we embraced in our "old lives" including the showering and getting dressed for the day, the two cups each of perfectly brewed coffee with "real" full fat cream and the settling in to comfy seating to begin the day with idle conversation, coffee mugs in hand. One of several enclosed areas for monks to work to avoid being pestered by the monkeys. Its an easy routine, one requiring little planning. That's the whole idea about routines, not much forethought required to put them into action. As we sit here most days watching the activity on the beach in Bali, we easily see the routine the dozens of stray and owned dogs implemented in their daily lives. We're not a lot different as humans. As we easily recall living in Marloth Park, South Africa for three months with wild animals roaming about the house each and every day, we reveled in observing the routines of wild animals. No, they don't shower, dress and make coffee but they do fall into a routine of investigating their surroundings for the most likely sources of nourishment and pleasure. No, it wasn't always about food. Tangled family...mom, dad and babies? Isn't that what we do? Check out our surroundings upon awakening for some sort of oral gratification (via coffee or breakfast) and settle in to our surroundings for that which provides us with the most comfort, whether it be taking responsibility in getting to work on time or for retired folks, determining the tone of our day. Its not always exciting and rarely mind blowing. Most often, its simple activities gleaned from our personal choices and desires that finds us with a smile on our faces, ready to tackle the day's challenges, tasks and accomplishments. This cat, who didn't seem to mind, was getting a lot of personalized attention from these three monkeys, if you see what I mean. Even for those less goal orientated, we all begin the day anew with hope and expectation of finding purpose and meaning to what's ahead whether it be a favorite TV show on at noon, the continuation of a book we've been reading or a visit with a friend over a cup of tea. It all matters. At the entrance gate to the temple. I suppose for all of us, it's about embracing whatever we chose to do to spend our time which has the ability to bring us some degree of pleasure, familiarity and contentment. Monkey statue at entrance to the temple. Who's to judge what others do? How easily one can fall into a trap of giving well intentioned advice to others on what they should do: get out more, make new friends, stop eating cake for breakfast or whatever one may find to be less than ideal per their own standards. Unless an individual is suffering with a severe emotional or physical illness, how they choose to spend their time is up to them. Many write to us suggesting we get out more, see more sights, go scuba diving, snorkeling and to stop living in remote isolated locations. View of the beach across the road. Why? Why would we change what we love when we're happy? If we don't share enough experiences and photos each day, please tell us. We'd love to hear from you. But, in doing so, most likely we won't change a thing. How does an idea from others inspire one to divert from contentment and happiness? Another scene of the beach across the street from the Pulaki Temple. So today, we're off at 7 am. Why? Because we can. Because we chose to and most of all, because we can't wait to share it with all of you! While on RC Legend of the Seas, there was a ceremony to celebrate crossing the Equator with King Neptune as the star of the event. Actually, it was quite hilarious. Its hard to believe that was a year ago! For more photos and details, please click here.